Wondering how you should structure your marketing organization in 2014 with all the changes in outbound and inbound roles and responsibilities. 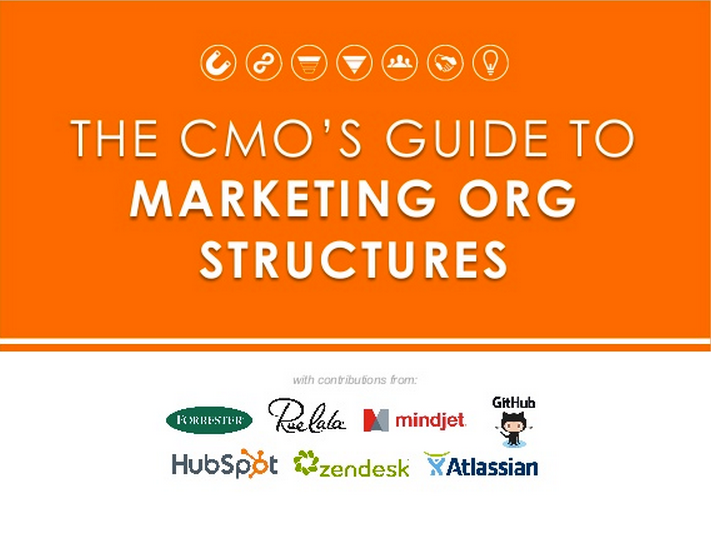 Here’s a great slideshare posted by Hubspot where “HubSpot partnered with innovative executives from Forrester Research, Mindjet, Rue La La, Zendesk, Atlassian, and GitHub to bring you this look into modern-day marketing org structure. As inbound and digital change the way we market, we need to stay ahead in the way we organize our teams. In this report, each executive details their org chart and looks ahead to the future. You can also download each job description found in the report for your company to use”! What’s the Market Value of Your Content? It isn’t that these new iPhones are not great phones. They improve on the previous models. However, the experts and analysts don’t regard them as being innovative. Improvements to old products are seen as less valuable, than innovative new products. The lack of innovation in the iPhone 5S and 5C has created some doubt in Apple’s current innovation and creativity. Thus the stock price has headed south. Apple’s next event is expected to reveal an innovative, new product and if it does, the stock price will increase. As I read that I equated it to organizations that are trying to enter the world of content marketing. Notice that they indicated that neither of these are bad, as long as you are either innovating or improving. Creating BAD content (or products) isn’t an option. TCH is analyzing Apple’s stock performance and correlating the performance of its stock price to whether it’s innovating or improving. When Apple has innovated, it’s stock has soared. When it stopped innovating its market price dropped (and the death of its spiritual and innovative leader, Steve Jobs, probably had something to do with it as well). 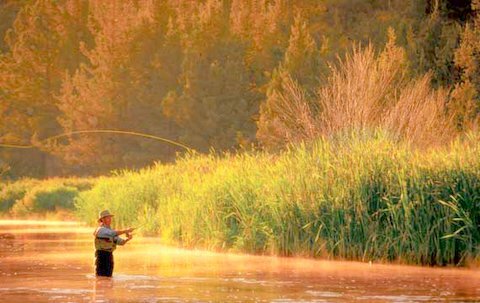 While it has done OK to stabilize its stock by continuing to at least improve its current technology, its innovation that spurs its stock movement upward. I think it can be similarly noted that when organizations innovate with their content, their social market value increases. People will engage more, share more, comment and take notice of the brand/product/organization. But, you don’t ALWAYS have to innovate. Taking existing content from the archives of your organization (images, videos, books, articles, etc.) and improving it allows you to appear innovative (assuming you don’t have all the same followers/fans/customers today that you had months or years ago) while not binding you to always having to create new. 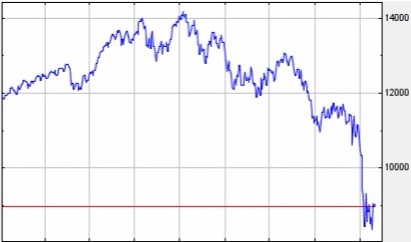 You may not get a huge social market value bump but you won’t see a free fall either. Moral: when it comes to content, don’t feel overwhelmed with thinking that you always have to come up with clever new things. But, don’t fall into the Apple trap either which is simply relying on just making the old a few features better. And, never put out bad content. Review your content strategy periodically to make sure you are seeing a good mix of innovation and improvement in your content mix. Spike your value periodically with innovation and maintain value through good, consistent engagement making old content better. Should your business/organization or YOU, for that matter, be on Pinterest? The following is my summary of a good piece from Zoom Creates a blog that helps you answer that question with a decision tree infographic. One of the key strategic decisions any organization must make is “which social network should we invest our time and resources into?” Pinterest’s popularity and ability to convert “pinnees” to sales / action makes it a strong candidate to consider as a first level strategic network for your plan. But, as the infographic shows, it’s not for everyone (like just about every other social networking platform–I will argue that due to size and expansiveness, Facebook is now a “need to be on” platform). 1. Can you invest the time and effort to be active on Pinterest? As I stated above, this is the first question you should ask yourself about any social network. Where will you get the most “bang” for your social media “buck”? 2. Do you have visually stimulating imagery available to you or can you create it? Given Pinterests strength as a photo display montage this is a must if you plan on using Pinterest. 3. Are your customers on Pinterest? I think this is a tougher question for many smaller businesses/organizations to answer. In my experience, creating a customer persona has not been a common practice for many small businesses but it needs to be. If you know who your customers are, then you can answer this question. It may be just the thing you need to get your organization to address this key strategic initiative. 4. Do you have more than yourself to promote? This question gets at the fact that Pinterest is much more product oriented and, not unlike any other social network, will not work well if you simply promote “you”. But, if you’ve answered the previous three questions, “yes”, this one shouldn’t be a stumbling block for you. Chris Faddis and I are so excited to bring you our first 30 MinuteSocial video cast live at 1:00pm EDT today, April 18. This kicks off our weekly 30 minute video program where we will bring you some tips, tricks and practical tools that you can use to manage your social media strategy. This week we will tackle the 845 Million person gorilla, Facebook: 5 Musts to Effectively Use Facebook’s New Timeline. To register for today’s event just click on this link and then register, watch, learn and use. If you have any questions, don’t hesitate to send me an email at [email protected]. And, if you want to discuss how 2Degrees Media Strategy can help YOU develop and deploy an executable social media strategy for you and/or your organization please contact us at 501.766.0522 or email at [email protected]. We’re here to help Demystify Social Media for you. I’m pleased to be speaking with 3 other great content providers at the Minneapolis’ Center For NonProfit Success workshop this Thursday, December 15, 2011. Looking forward to sharing some keys to Social Media success and hearing what my colleagues in the fundraising/philanthropy arena are doing. Hope to see you there (if you’re in the Mpls area)!! The term “hail Mary” used to be used exclusively for religious purposes. Then football co-opted the phrase to describe that last ditch effort a team makes when the Quarterback heaves the ball as far as he can down the field in the hopes that one of his receivers will be able to wrestle or nab the ball and fall into the end zone for a game winning touchdown. As a young boy, I remember all too well the suddenness of what a successful “hail mary” pass feels like, at least for the losing end. 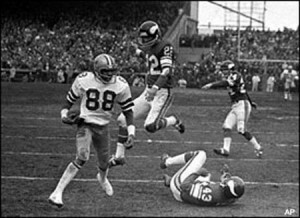 I will never forget Dallas’ Drew Pearson pushing off Minnesota’s Nate Wright so that he could haul in Roger Staubach’s Hail Mary throw to defeat the Vikings in the NFC championship game in the mid 70’s. Painful still today ;). So, what’s all that have to do with Social Media? As I talk about social media with clients, potential clients, friends and others (seems that it always comes up when you do this for a living :)), I get the sense that what they really want from Social Media is to throw the Social Media Hail Mary and hope it works. But, I’m constantly reminding them that Social Media is not a last ditch effort to save the game for them. You don’t go from not having much or any presence within the key social networking channels (Facebook, Twitter, LinkedIn, Google +, Blogs, Video, webinars, etc) to becoming effective and successful in utilizing Social Media as part of your overarching Marketing strategy. Social Media is not a replacement for sound strategy that points you and your organization toward the accomplishment of your mission. It is a tremendous tool that every organization needs to begin building into their marketing and operational plans. Yes, operational. Social engagement is not a consultant coming in, hearing your story and then going back into his social media laboratory, concocting some voodoo formula and then sprinkling over the organizations social media tools in the hopes that “if you build it, they will come”. Rather, it is, at a minimum, understanding that it is everyones responsibility to become adept at thinking about and using at varying levels. Not everyone will spend hours heavily entrenched in Social Media activities directly. But, everyone needs to be aware of what it takes to engage with Customers 2.0, that is, online, realtime and respectfully (you don’t always need to throw your hands up and give customers what they want but you do need to be able to address them and their concerns expressed online–a whole different blog post). This is everyone’s job 1. Without customers there is no reason to even attempt a Hail Mary. Time. Remember, Hail Mary’s are only deemed necessary at the END of a game, after the pre game strategy (that took a long time to develop and hone) has been tactically executed for 59 min and 54 seconds. Coordinated Effort. It is necessary to bring everyone into the game as early as possible within your organization. A good consultant can be a catalyst to getting you started but if all they do is come in and help you develop a tactic without engaging you as an organization about your goals and mission and you expect them to magically deliver the Hail Mary, you are probably going to be very disappointed in Social Media, and you will lose valuable time in executing a much more effective strategy. Coordinated Message. Call it brand awareness but the point is, everyone in your organization needs to know your Social Media plans and to be using a consistent voice or theme as they engage in their capacity within (and outside of) the organization. Social Media does not create your brand or message. It amplifies it. If the message is off target, like a framed house that starts off a little off square, it will end up significantly off brand and message. We all hope our team gets to the end of the game with a chance to win. The Hail Mary in football is the last hope that all the effort put into the game to get a team in position to win might pay off. But, it’s a terrible strategy for your social media efforts. I was on my way to a client strategy day meeting driving down the freeway. Driving is a good time for me to think and develop thoughts. As I was cruising down the road, I passed a van. Not unusual on the freeway. But the back of the van was painted with various beverage bottles and smack dab in the middle of the side-by-side rear doors it said “Like us on Facebook” in a big blue Facebook style box. Since I was going to a social media strategy meeting and I’m always on the lookout for how organizations are using social media and social networking tools, this one caught my eye. I saw the side painting on the side of the van as I passed the vehicle. It was a Spike Beverage van. I’ve never heard of Spike beverage before, probably because it’s an Arizona beverage company. But, it sticks in my mind now. And, will go check it out on Facebook sometime. Not sure if I’ll “like” it or not because I don’t drink much soda or don’t know if it’s even carried in Little Rock stores. But, it was a clever way to use offline marketing for it’s product. There was one thing that I thought they could have done to make it even more compelling. If they had put a reason for me to “like” their Facebook page, I may have been more inclined to do it when I had a chance. 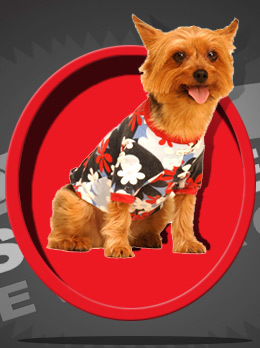 For instance, they could have said, “Like us on Facebook for your special gift”. Then, if I went to their site, if the welcome page included a coupon for a free trial bottle of their beverage (especially since it’s likely not many have heard of this product and getting people to try it would go a long way to earning new “fans”), that would be much more compelling for someone to follow through on their call to action. Still, it’s a clever way to market your product in an offline fashion. What products or services have you seen marketed offline that you thought was interesting or caused you to go online to check it out? You’ve probably heard the phrase (or something similar) FREE is today’s discount. Successful online engaging will probably include you giving away something-a product, some service, forms, tips or some other indicator of why YOU do what you do. So, what can you give away that is more than just the scraps but provides someone with something of value and endears them to you for longer engagement?